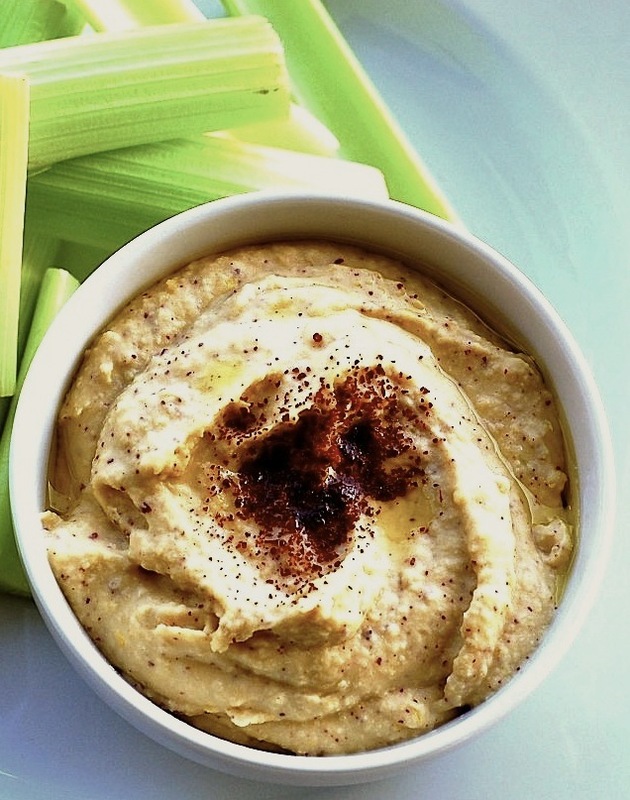 Hummus might just be the "original dip". Versions of it date back to biblical times. Chickpeas, the main ingredient in hummus, were plentiful in Southeast Turkey—thought to be the place of the chickpeas origin. Hummus has made itself into a household name..not so widely known when I first became a chef. Whether you are rooting for New York or New England this dip will make the fans happy! BTW- Tahini, included in my Hummus Recipe is a paste made from sesame seeds and is a good source of zinc and calcium. Serve with toasted pita and raw vegetables.